three-leaf cardboard jacket, sealed with a printed wrap-around strip. and two <small>(26 x 26 cm)</small> printed cardboard dividers. 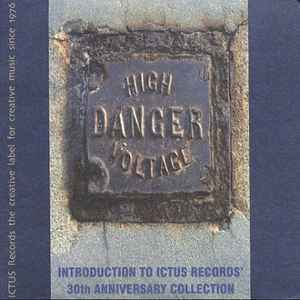 and all tracks on Ictus Reissue series CD Rdc 5045. Recorded on 3 and 4 April 1977 at Centazzo Studio, Moruzzo, Italy. and as Ictus re-issue series #5 Rdc 5037. Recorded in concert in Udine, Italy, on 5 December 1976.
and as Ictus Reissue series CD Rdc 5027. Tracks 5 and 6 recorded at Teatro Comunale, Pistoia, Italy December 14, 1977.
and two tracks in particular are severely shortened. In real time #6 (6:19) previously unissued. Recorded at Walden Studios, Carmel Highlands, California in December 1978.
all tracks previously on CD on Ictus Reissue Series Rdc 5038. Berkeley on 10 December 1978. Recorded at WKCR Radio Station New York City on 7 November 1978.
all restored in current version. and Track 7 was recorded at Ravenna Jazz Festival on 12 June 1983. Tracks 7-8 recorded live in concert at Villa Manin, Passariano, Italy in July 1983. Tracks 7 and 8 recorded live in concert at London Musicians Collective, London in February 1979. Track 7 recorded In Modena, Italy in June 1977. Opened, but unplayed copy, still with original paper wrap-around (wide, OBI style packaging). Each individual CD comes with its own wraparound.